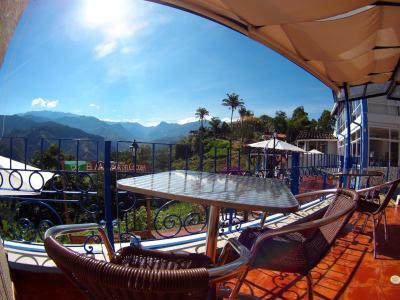 Lock in a great price for Hotel El Mirador del Cocora – rated 8.9 by recent guests! Excellent stuff and amazing breakfast with gorgeous view. Room was pleasant to stay in, and stuff was kind to upgrade it to one with additional space with a table and hammock! The view!!!! Very peaceful... The breakfast was nice, and the staff was very attentive. The staff were incredibly helpful and the scrambled eggs at breakfast were some of the best I've ever had! Breakfast was great, the staff was great, the view SPECTACULAR, the cost cheap. I stayed in a room for 3 people which is normally awkward but we were given 3 double beds which was a pleasant surprise. The staff (particularly the man) were excellent and helpful and the breakfast was the best I have ever had at any hotel. Small but fresh and homemade, really ate to our heart's desire. The view is also an added bonus! Amazing view. Great breakfast buffet. Free coffee and tea. The views from the back are just stunning. Especially if you book the jacuzzi room. The hotel let us keep our bags in their storage for one day while we went and stayed a night near he cocora Valley. The view from our room was breathtaking. The sound of the river and birds was very enjoyable also. The staff is very friendly and helpful as well as the owner. 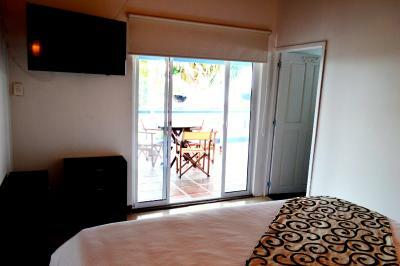 It is very central;located a few blocks from the main plaza and the actual Salento mirador. Also, easy access to the Cocora by vehicle. 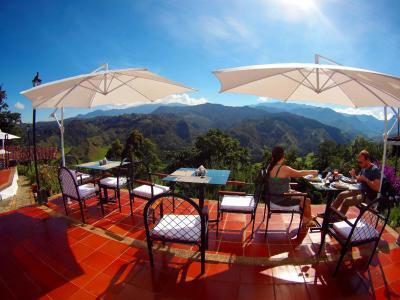 Hotel El Mirador del Cocora This rating is a reflection of how the property compares to the industry standard when it comes to price, facilities and services available. It's based on a self-evaluation by the property. Use this rating to help choose your stay! 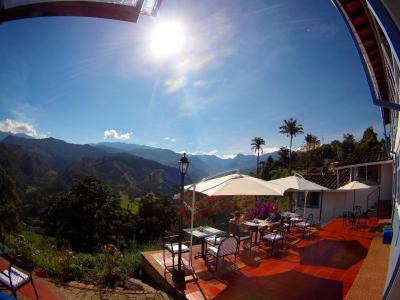 One of our top picks in Salento.Boasting a terrace with panoramic views of Cocora Valley, Mirador de Cocora is in Salento and 1,650 feet from the main square. Free WiFi is provided and a daily Gourmet Breakfast with views of the Cocora valley is served at the terrace. 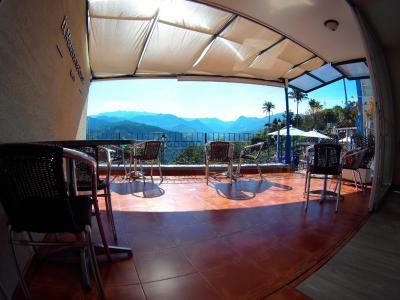 A flat-screen TV, mini-bar, and en suite are provided with all rooms at El Mirador de Cocora. Some rooms have a balcony with a view. A 24-hour front desk is offered by Hotel Boutique El Mirador del Cocora. Other facilities offered at the property include a shared lounge, a games room, and a ticket service. Free parking is provided on site. Salento viewpoint is 5 minutes' walk from the guest house. El Eden Airport is 40 minutes' drive. 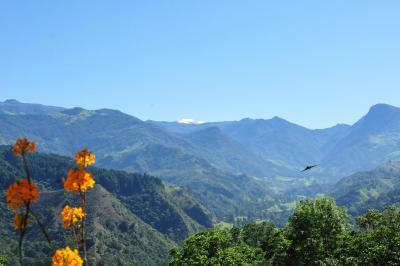 When would you like to stay at Hotel El Mirador del Cocora? 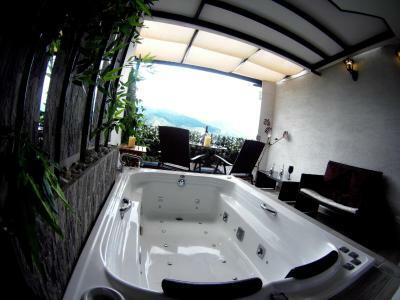 The room features a private balcony with a mountain view view. 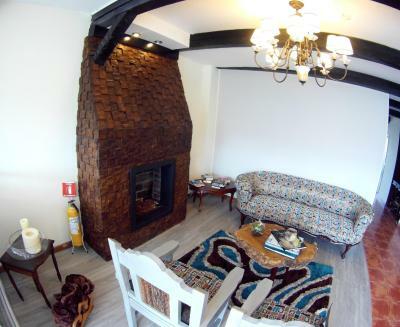 A flat-screen TV, mini-bar, and private bathroom are also included. Room service is available for a fee. 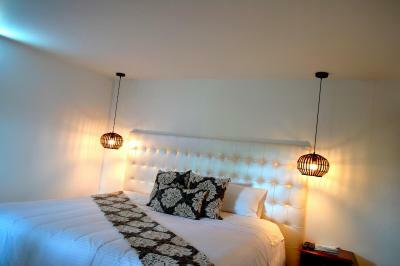 This double room features a city view and has a satellite television. 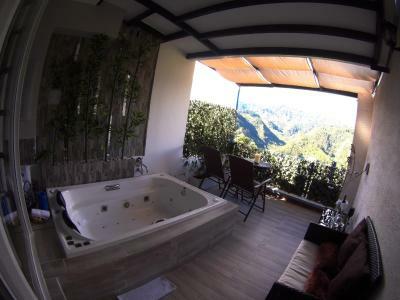 This room comes with a private terrace with views of Cocora Valley and free breakfast. Bedding and amenities cannot be guaranteed and are determined upon check-in based on availability. This family room has a satellite TV. House Rules Hotel El Mirador del Cocora takes special requests – add in the next step! 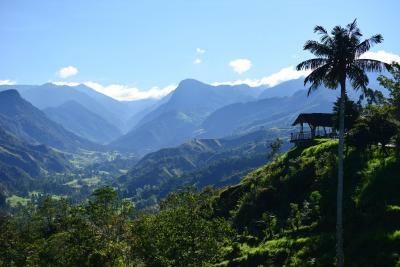 Hotel El Mirador del Cocora accepts these cards and reserves the right to temporarily hold an amount prior to arrival. Amazing views, close enough to walk to the plaza but far enough so its quite and not so crowded. Great breakfast helpful staff. Staff super friendly, very nice location and THE VIEW! We absolutely loved our stay here, the view is indescribable, the rooms exactly as in photos, the staff were really adorable (one of the chefs made pancakes for me as there were none left at breakfast and brought them to me as a suprise) and really helpful. Breakfast was fantastic, particularly enjoyable out on the terrace and the hotel is really well placed for exploring the city. The roads directly near the hotel are not well-lit at night. Most of the town has good lighting on the streets, but the final 2 or 3 blocks to the hotel need better lighting for more safety and security. Excellent view from the room and from breakfast (we were in room 302, delux king room). Room was clean, good water pressure and hot water!! Breakfast was excellent. My room was on the first floor behind kitchen. You can hear guests/stuff footsteps. Wasn't bothering much. But some people are sensitive to that. Really everything was way better than we expected, and maybe the only thing that could be improved is to give some maintenance to the jacuzzi, which had a couple of loose parts, but otherwise, the rest was just perfect. El Mirador del Cocora had one of the best locations of any hotel I've ever visited, overlooking the beautiful Cocora Valley. Additionally, the staff was incredibly helpful and super friendly, breakfast was plentiful and delicious, and finally, our room was just amazing, with a balcony towards the valley perfect for enjoying the sunrise. The toilet was a bit difficult to use due to poor placement and design. Breakfast was amazing, as was the view from our room. Lovely big comfortable bed too. The shower was great! The location was a bit of an inclined walk from the centre of the town. WiFi was good. Not a lot of hot water. I specifically booked this hotel because it offered an in-room safe, because we were carrying a lot of valuables for our work. However, I had to ask for the key three times before it was given to us and I found the staff were not very helpful. I also think the hotel is overpriced. We stayed in far better hotels in Bogotá, Medellín and Leticia for less money. For example, I would expect a place to sit and work in the room for the rate they charged, but there wasn't one and we had to work in the public area. Salento, in general, has too many tourists and I found that businesses are now taking advantage by charging more money than they should. The view from the hotel balcony is unbeatable, and provided a restful location in which to relax and work.